Queen. One couldn’t ask for a better band name. Royalty, pomp, perfection, theatrics, over-the-top, flamboyance: certainly the British rock band lived up to those descriptions and more. In their uncanny 40-year history, Queen has set the standard of what a superstar rock band should be with their dramatic music and electrifying stage presence. There wasn’t a group before them; and after Queen, there were only just imitators. Only a unique rock band could count as among its members Brain May, one of the greatest guitar heroes of all time with his dazzling and distinct playing; Roger Taylor, a drummer that can pummel a listener into submission; and John Deacon, whose dependable, steady and melodic bass lines anchors the sound. But inevitably, Queen’s singer, the late Freddie Mercury, however, was the focal point of the band–a charismatic, larger-than-life character on stage that only fiction could have produced. From his evolution from a long-haired glam rocker to a mustachioed macho man, Mercury enthralled audiences and fans both with his stage manner and extraordinary voice. Twenty-years ago, Hollywood Records properly reissued all of Queen’s albums in the U.S. For American fans, that was a godsend–at the time Queen’s popularity in that country was at a low and the band’s music–or what was available back then–was limited by the quality of the packaging and the sound. The Hollywood Records versions were an upgrade with digitally remastered sound and original artwork. And in nearly all of the cases, there were even bonus tracks, albeit mostly remixes of songs whose quality varied from decent to unremarkable. In celebration of Queen’s 40th anniversary comes a new reissue program of the band’s back catalog. One CD features the original album, while a bonus one contains a combination of archival studio and live recordings, BBC sessions, and backing track mixes. (Personally, I would have preferred more unreleased older recordings). Still, these new reissues of Queen’s five albums puts into perspective some of the extraordinary music from the band’s early years–a portrait of a then-young band with blazing swagger and energy destined for stardom. It may be hard to imagine for casual Queen fans who are only the hits such as “Bohemian Rhapsody,” “Another One Bites the Dust” and “We Will Rock You,” but Queen actually started out as a progressive rock band based on the sound of their first two albums. The self-titled debut album (1973) is heavy both in a musical and lyrical sense. The lyrical content seems steeped in religious and mythological imagery (“Jesus,” “Great King Rat,” “My Fairy King”). 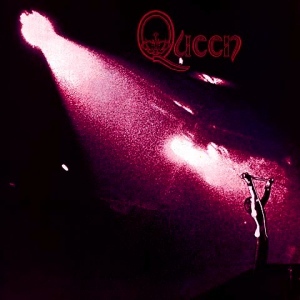 The spiraling rocker “Keep Yourself Alive” is the album’s single and offers traces of the later signature Queen sound that would be familiar to audiences. Queen is a somewhat underrated work in the catalog–its songs are hardly featured in any greatest hits compilations or played live in the band’s later career–but it deserves a reevaluation. The De Lane Lea tracks that comprise most of the bonus disc are a revelation because they are the first recorded music by the band, taken from the surviving acetates from May. For fans, those particular recordings are historic. Things certainly lighten up a bit by the band’s third album, Sheer Heart Attack (1974). The music on that record is accessible and the lyrics are more straightforward than story-driven like on the first two album. 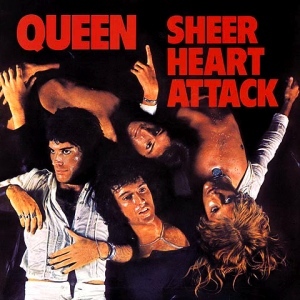 Sheer Heart Attack is the band’s breakthrough thanks to their first big hit, the very English-sounding “Killer Queen,” and the rocking “Now I’m Here,” which later became a live standard. The album also reveals Queen’s willingness to tackle other genres from heavy metal (“Stone Cold Crazy”) to ragtime (“Bring Back That Leroy Brown”). In the grand scheme of things, Sheer Heart Attack definitely ranks in the Top 5 as one of the greatest Queen albums. Two BBC sessions performances of “Flick of the Wrist” and “Tenement Funster,” along with an electrifying 1975 performance of “Now I’m Here,” grace the bonus disc. 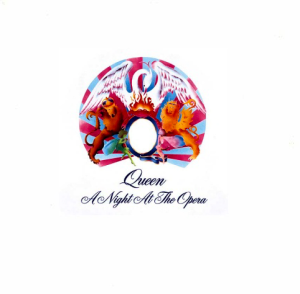 A Night of the Opera (1975) is the zenith of Queen’s career and marks their arrival as a superstar band. This is the apex of the band’s musical ambitions and pomp with its unusual melding of rock, opera and English music hall influences—“over-the-top” could best describe this record and period in the band’s history. 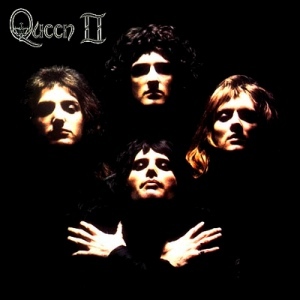 There is absolutely not a single bad track on this masterpiece, starting off with the vitriolic “Death on Two Legs,” through the burning Roger Taylor-sung “I’m in Love With My Car” and John Deacon’s catchy tune “You’re My Best Friend,” to May’s dramatic epic “The Prophet’s Song” and folksy “Good Company.” But of course, A Night at the Opera’s centerpiece is Mercury’s engimatic opus “Bohemian Rhapsody, a nearly six-minute track cleverly framed with a mournful balladry intro, a wacky operatic vocal section, a thunderous rocking climax, and a gentle resolution. Not surprisingly, it is the band’s biggest and most recognizable hit of all time. Bonus tracks include a live performance of “‘39” from an Earl’s Court concert in 1977, a remake of “Keep Yourself Alive,” and the South American live single of “Love of My Life;” the rest are different mixes of “You’re My Best Fried,” “I’m in Love with My Car,” and a portion of “BoRap” focusing just on the operatic vocal section. 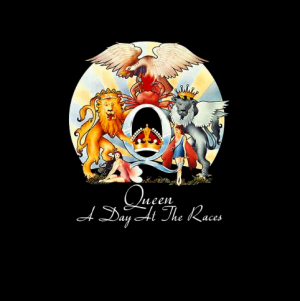 A Day at the Races (1976) has the unfortunate status of being the follow-up to a monstrous hit album. With that in mind, it’s a slight let-down but it’s better than other bands’ weaker efforts . Individually the songs don’t depart much from the sound that was established on Opera–there’s still the dramatic rocker (the blistering live staple “Tie Your Mother Down”), poignant ballads (“You Take My Breath Away,” “Teo Torriatte (Let Us Cling Together)”) and English music hall styled-tracks (“The Millioniare Waltz,” “Good-Old Fashioned Loverboy”). And while it’s no “BoRap,” the gospel-tinged and soulful “Somebody to Love,” with its confessional yearning lyrics and vocal harmonies. Some of the interesting archival bonus songs on the Races reissue include a lovely live performance of “You Take My Breath Away” from the historic Hyde Park show; and a Top of the Pops version of “Good Old-Fashioned Loverboy.” And although the live version of “Somebody To Love” featured on this reissue was already released on the Queen on Fire concert album, it’s still a great listen. These first five albums traces the rise and musical evolution of Queen, but the best is yet to come.